Only a short stroll from all that CASINO has to offer, this neat little unit is primed to sell. The current tenant keeps the place immaculately and is paying $195 per week happy to stay on. 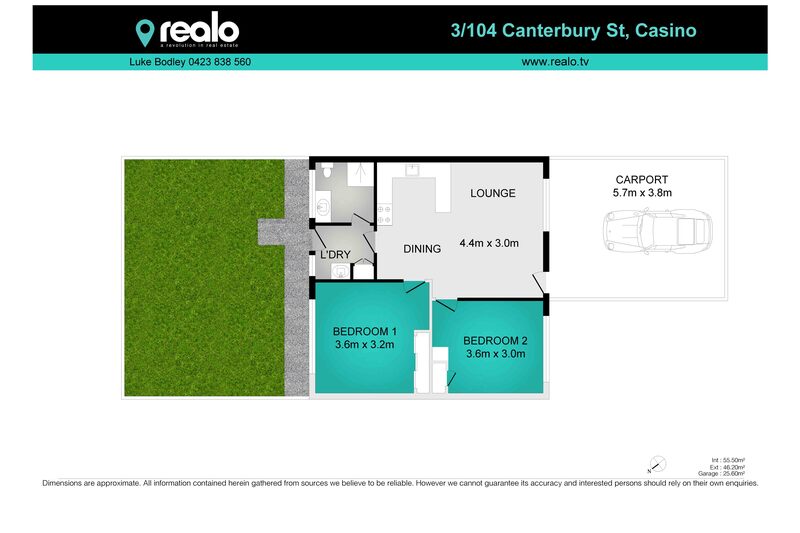 Fairly basic layout with open plan lounge kitchen dining two bedrooms both with built-in’s the main bedroom being noticeably larger small partially fenced rear yard and shady carport and garden area at the front.